Good Morning Silvia, beautiful flower! Ah yes, sun and rain are both vital ingredients for sumptuous flowers. 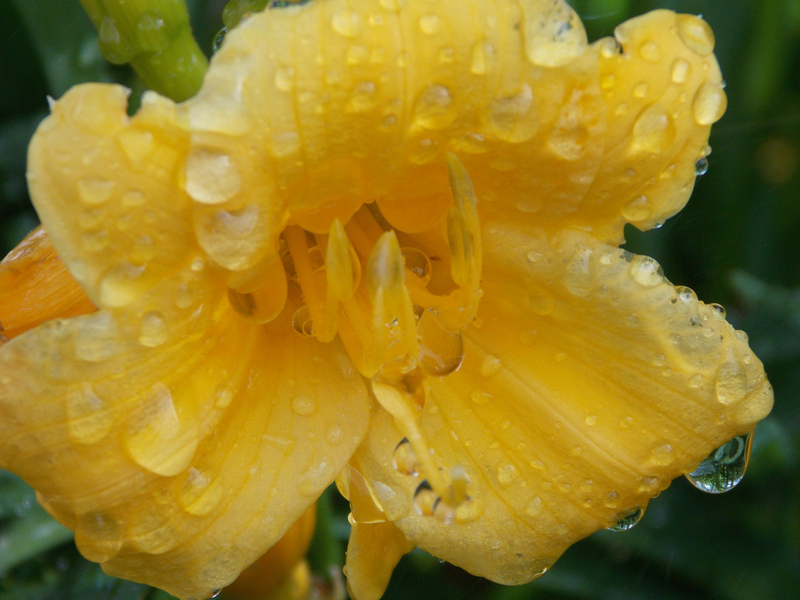 Lovely shot – flowers with raindrops always look so fresh. Thank you . My son took this one. ah yes, both are good for the soul. Sometimes when things are wet they actually look a little sad. But you’re right, this flower looks rather happy. Hah! That’s funny and true.